Having discovered their portraits of place films a couple years back with post-apocalyptic mood piece Fragments, we’re no strangers to the atmospheric shorts created by Monika Delgado and Mickey Todiwala – although their locations are always new cinematic experiences. So, given the opportunity to experience the Amazon Rainforest via their lens we jumped at the opportunity and also snagged Mickey for an insight into the pair’s most fruitful of partnerships. In your previous films Room By Room and Fragments, and now again in Green Mansions you present a view into places devoid of people. What is it about that absence which interests you? What I find most intriguing about these uninhabited locations is the fact most of them are unseen and often times ignored. I like to take people to a place they’ve never seen and hope that they enjoy the trip. You’ve worked with Monika Delgado on your last three films. How does your creative partnership work? We pitch a lot of ideas to each other and once we agree on something, we go straight into production. We split costs, she then handles most of the pre-production work while I look into what equipment we’ll be using. On location, she assists me with my camerawork and in post-production we sit down and edit together, throwing in whatever ideas come to mind. It’s hard to draw a line of distinction between our contributions to a film. We are both involved in every aspect of production. Without the presence of either of us, the project wouldn’t be the same, it wouldn’t be as good. 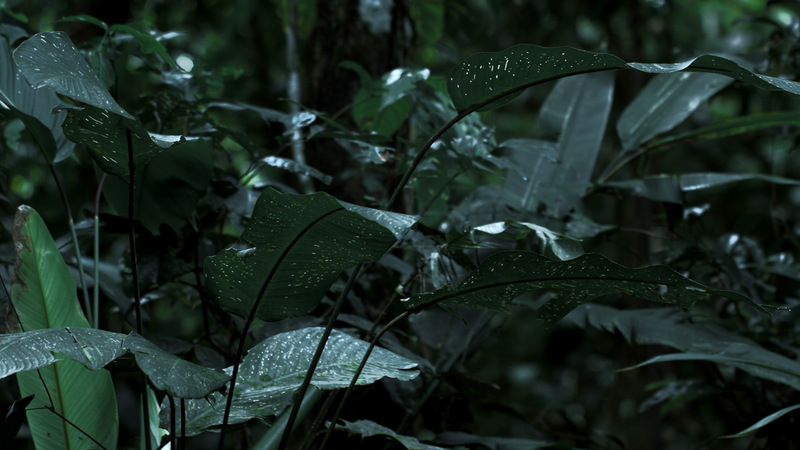 How did you come to be shooting in the Rainforest? What specific aspects of that environment did you wish to convey to an audience? 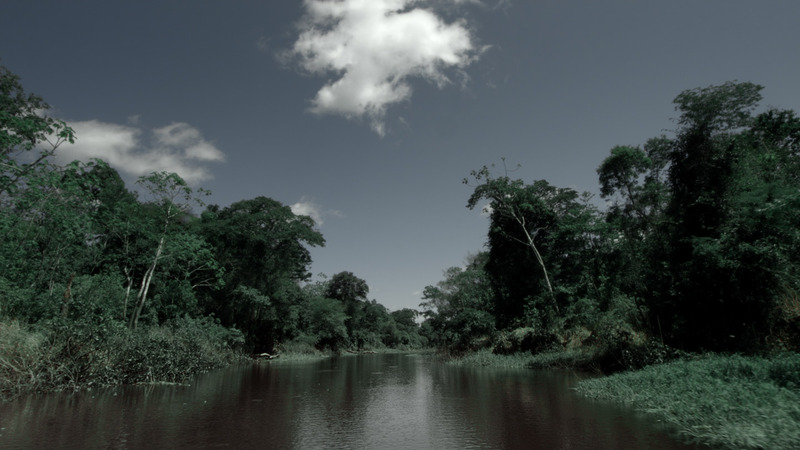 The mystery of the Amazon Rainforest is what pulled us in. Information on it is scarce and considering its enormous size, it is still very undiscovered. We knew we wanted to incorporate that curiosity in the unknown we both had before getting there. Upon arrival, we realized how very unwelcoming the rainforest is. There were no trails, there were thick vines covering the ground making it very difficult to walk, and we couldn’t get anywhere without having someone in front of us cutting the way through with a machete. In the final cut, we wanted to show the dark and menacing nature of its environment the way we experienced it. Where there specific shooting challenges which had to be overcome? What gear did you use? We took a Blackmagic Cinema Camera, a tripod, slider, lenses, sound equipment, and a bag full of first aid supplies. Carrying all that between two people would be tough anywhere you are. In the rainforest, it was nearly impossible. How planned out were the shots/structure before shooting took place? Was it difficult to find the correct flow for the film in post? We did as much research as we could on the Amazon Rainforest before our arrival: What kind of plants and trees were native to the rainforest, what kind of animals/insects we would see, etc. We had a shot list of what we wanted to get based on our research but that only served as a reference. We knew once we arrived there, we would find much more content to shoot besides what we had in mind. It’s always very difficult to find the perfect flow for our films. We came back with so much footage and I think the most difficult part was not being able to use everything we had shot. Hildur Gudnadottir’s haunting Leyfdu Ljosinu feels made for Green Mansions. Was it in mind from the idea’s conception? We never thought of using it before, we stumbled upon it and thought it worked perfectly. What projects can we expect to see from you in the future? We already have a few ideas up our sleeves. The next one will involve people.